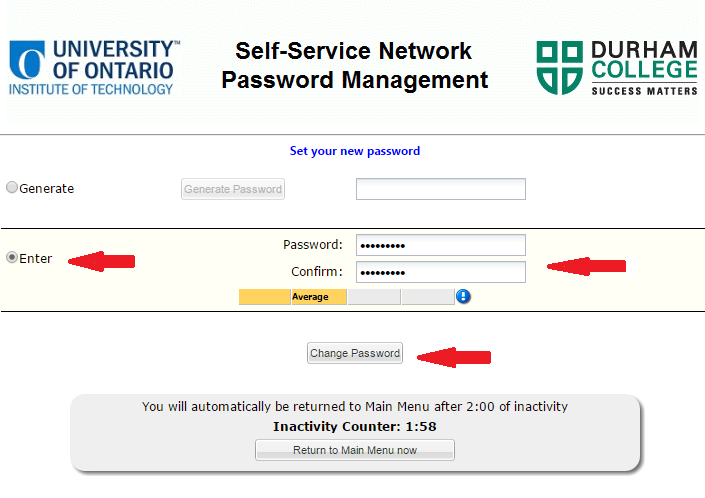 Newly admitted students must change the default network password prior to accessing the UOIT Network, Blackboard and UOITnet email accounts. The default password can be found under the Important Information section after logging into MyCampus. To change your default network password, please follow the steps outlined below. 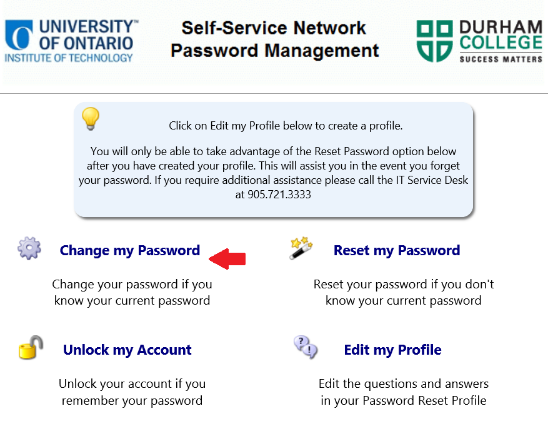 Step 1: Visit the Self-Service Network Password Management site: https://mypassword.dc-uoit.ca and select the Change my Password link. Step 2: Type your 9-digit student number in the User Name field and the default network password in the Password field. Select Submit. Step 3: The Self-Service Network Password Management screen is redisplayed. The Generate button is selected by default. Login to UOITnet email, read the UOITnet Login Procedures. 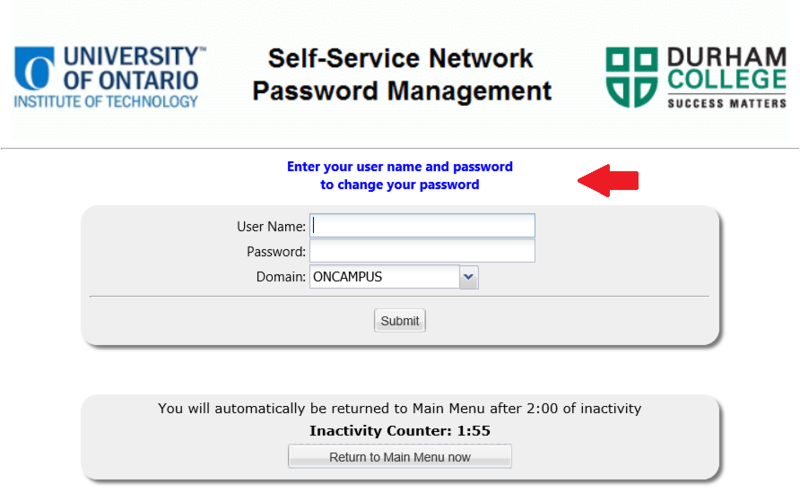 Log on to the UOIT Network, follow Connecting to the Network instructions. 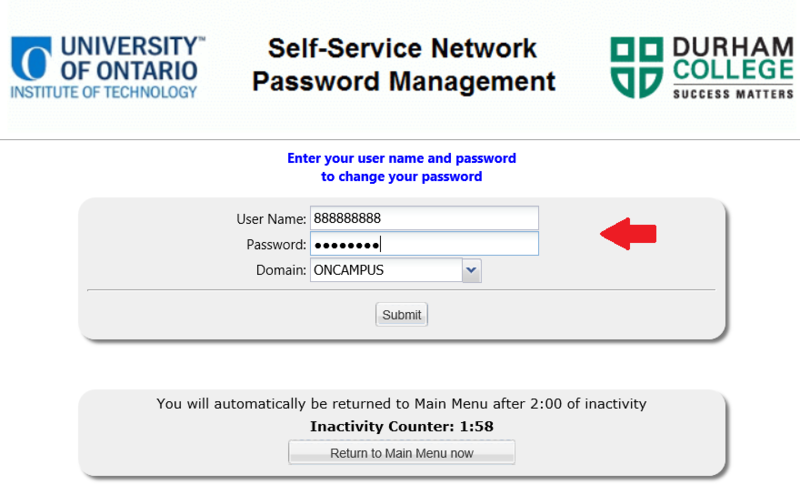 If you are having problems changing your network password or logging into UOITnet email, please contact the IT Service Desk.